Facility Support Staff have a very diverse and important role at camp. The Camp Facility encompasses 85 acres, 1500 ft of shoreline, 46 buildings, 10 sports programs, all enjoyed by 200+ campers and 100+ staff. The two Facility Support Staff are tasked with helping keep this exciting program in operation. This is achieved through daily cleaning, maintenance, and repair. Facility Support Staff assist in a variety of jobs at camp, including but not limited to: daily camp cleaning rounds (washrooms, garbage pick-up), grass cutting/trimming, camp maintenance projects (bunk repairs, painting, raking, cabin repairs, etc), and assisting with Program Maintenance items when needed (ex: fixing bikes). These staff must hold a valid G driver’s license as they will complete daily trips to Sundridge / South River (Town Run) and weekly trips to Huntsville and/or North Bay to pick up mail and required camp supplies. 2-3 weekly trips to the local Dump driving a pick-up truck and trailer will be required as part of the maintenance tasks. 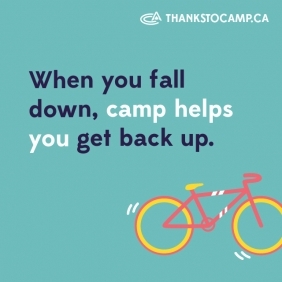 On one of the schedule rotations, Facility Support Staff will also be responsible for running the camp’s Tuck Shop, on Monday, Wednesday, and Friday afternoons. The Tuck Shop stocks various candy, chocolate bar, and chip options. These staff must have an interest in keeping the facilities looking presentable and ensure to always keep personal, camper, and staff safety a top priority. Facility Support Staff would work indirectly with children but would need to possess an interest in working with children in a busy summer camp environment. This position is best suited for a detail-oriented, organized, and independent person. The schedule will rotate between two 40 hr weekly schedules, each fulfilling 7.5 hour work days; either 8:30 am - 4:30 pm, or 12:30 pm - 8:30 pm, with a 4-hour shift on either Saturday or Sunday. Salary will reflect experience and knowledge (Student Minimum Wage). Must have a general interest in keeping the camp community looking presentable, clean, and safe for campers and staff. Create and execute your job in a productive, professional, and fun manner. Always wear/follow proper safety guidelines when completing tasks. Complete daily camp cleaning rounds, including garbage pickups (changing garbage bags and taking them to the appropriate area), and washroom cleaning/sanitization. Will be asked to complete minor maintenance tasks (shovelling sand, raking, helping with tree removal, etc). Will be asked to complete minor building projects (assembling bunks, siding repairs, cabin repairs, window replacement, painting, etc). Will be asked to assist with basic program maintenance items (fixing bikes, arrows, etc). Must be able to use basic lawn care equipment (riding lawn mower, push mower, grass trimmer, leaf blower, etc). Be knowledgeable about all safety procedures, including fire, land, and aquatic emergency procedures. Basic mechanic knowledge a plus. Run Tuck Shop times three afternoons a week (Mon/Wed/Fri). Be responsible for keeping Tuck Shop clean and organized. Will rotate through a Sunday to Friday, or Monday to Saturday schedule. Weekend shifts will be 4 hours in length and weekday shifts will be 7.5 hours in length. Drive pick up truck with dump trailer containing garbage and recyclables to the local waste facility and dispose of it in the proper unloading areas, two-three times a week. Complete local town runs daily, and trips to Huntsville and/or North Bay weekly to pick-up/purchase camp related items. Assist Head of Maintenance when needed. All staff are required to deliver every day our Brand Promise "Best Summer Of Your Life" in each camper and staff interaction. Guided by our four core principles, Community, Leadership, Accountability, and Performance. Staff working a full eight week contract period are entitled to one weekend off (Friday after daily duties till Monday). A minimum of 17 years of age. Genuine interest and experience in general maintenance (plumbing, construction, etc.) a must. Genuine interest in working at a residential camp. Must be an outgoing, self-starter type person. Must be able to drive a pickup truck with trailer. Must be an enthusiastic, energetic and positive person.